According to Chris McKenna of Oxford University’s Saïd Business School, who I interviewed a couple of weeks ago, that is certainly the case. In other words: You should build a system based on your own market and situation. Then maybe, hopefully, it will turn out be useful in another market, another country. The story of Toyota’s lean manufacturing is a classic example of this. In the US, where there’s of course plenty of physical space, you could do what Ford did. He could build giant factories and fill them up with parts and people. But in Japan, where you are constrained by the size of the facilities, even the size of the vehicles, you have to build an entirely different system. Because you don’t have the space for spareparts, racks, inventory etc. That’s how Toyota’s system of lean manufacturing came about. A system where all waste is reduced and focus has shifted from production output to customer demand. This whole philosophy is closely linked with the physicality and culture of Japan. The lesson is that you need to build to your local need. If you get it right, and other markets can benefit from your system too, you will have a big competitive advantage. Because no one else ever built to that need. In Sweden, after World War II, a very specific sociological situation took form. Families were growing rapidly, and young people started moving in together before marriage. Back then, normally, you would inherit your parents or grandparents furniture when you got married. That was no longer possible, and the need for cheap, temporary furniture arose. And in came… IKEA. Soon after, young families didn’t even want their parents furniture because it was out of fashion. The mentality around furniture had changed too. You no longer bought your furniture for life. You only bought it for a couple of years. Now, imagine a world in which young couples live together without getting married. In which they want their furniture only to last for a couple of years. And in which they want their furniture to not look like their parents furniture… Oh, wait, that’s now. Who knew that the whole world would turn into Sweden? The lesson is that IKEA solved a local problem. A problem that was very odd and very specific, and then the whole world eventually got the very same local problem. 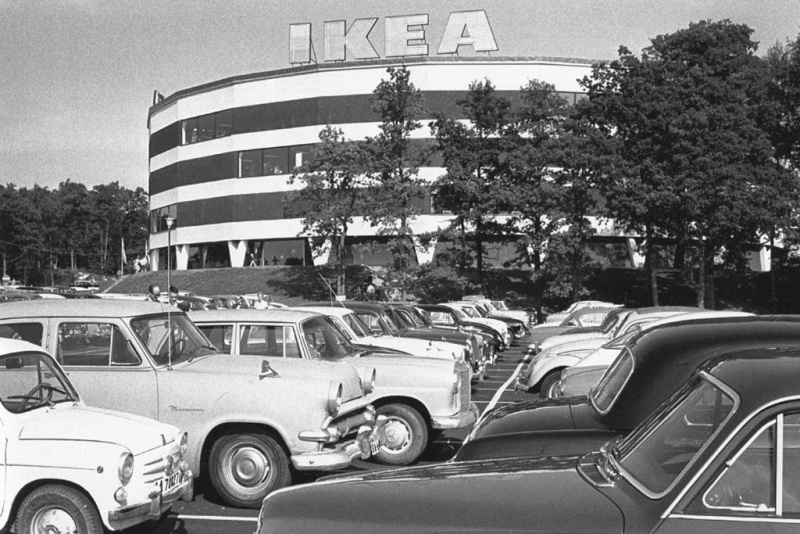 In essence, that’s the story of the world’s largest furniture store. And let me be clear that it’s not necessarily a good story. IKEA made furniture disposable. Furniture used to be something you had your entire life, and now furniture is something you throw away. Today, IKEA claim to be a green company. It’s far from the truth, and it seems that no one sees it or wants to talk about it. Maybe the company doesn’t even realise it. Long story short: You can be as eco as you want, but once you throw something away it’s no longer eco. The same could be said about fast fashion and the likes of H&M, Zara, Gap, Uniqlo etc. On that note, what else can we learn from business history regarding what mindset, worldview and values are required to do business in the 21st century? I will try to answer that question in my next post.